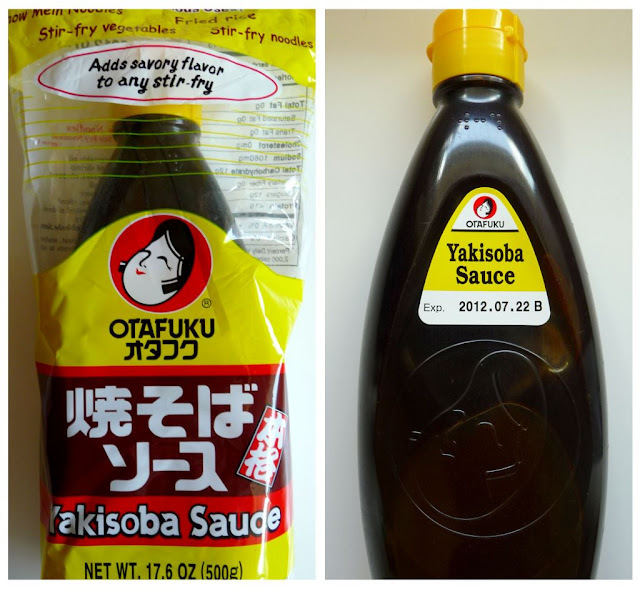 But I can almost bet you that if you go to a Japanese grocery such as Mitsuwa or Marukai, they might have something similar, or maybe an uncooked version, which we can then cook just like we would pasta. I hope this inspires you to try and make it too. Keep in mind that the measurements for the ingredients are approximations, as I used whatever leftover veggies I had. By the way, can I just say, I could not have hosted a successful party on fight night had it not been for Veggie Girl's help with frying the eggrolls and the cheater donuts. Thanks again Veggie Girl!!! 1. 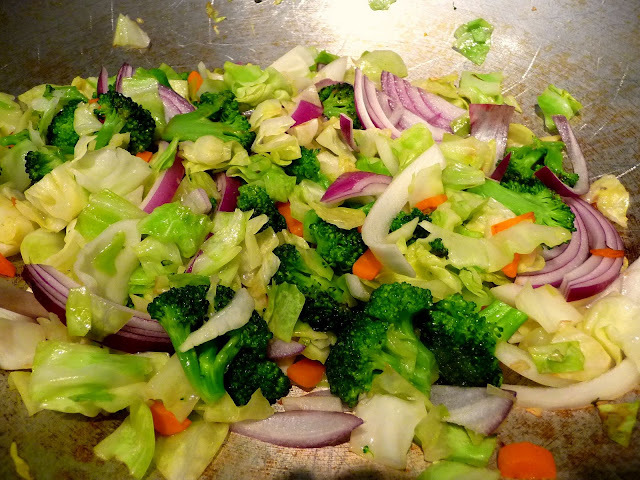 Heat up about 4 tablespoons of oil in a wok or large pan. 2. Saute the vegetables starting with the one that cooks the longest, in this case, carrots first, then broccoli, cabbage, onions, and finally green onions. 3. 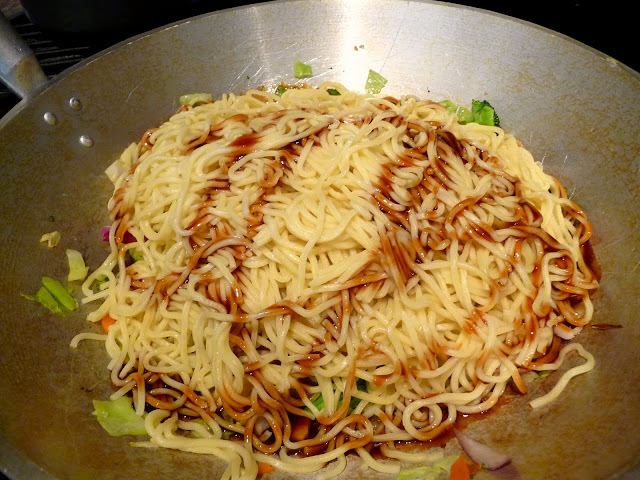 Add the pre-cooked noodles. 4. Add the Yakisoba sauce to desired taste. 5. 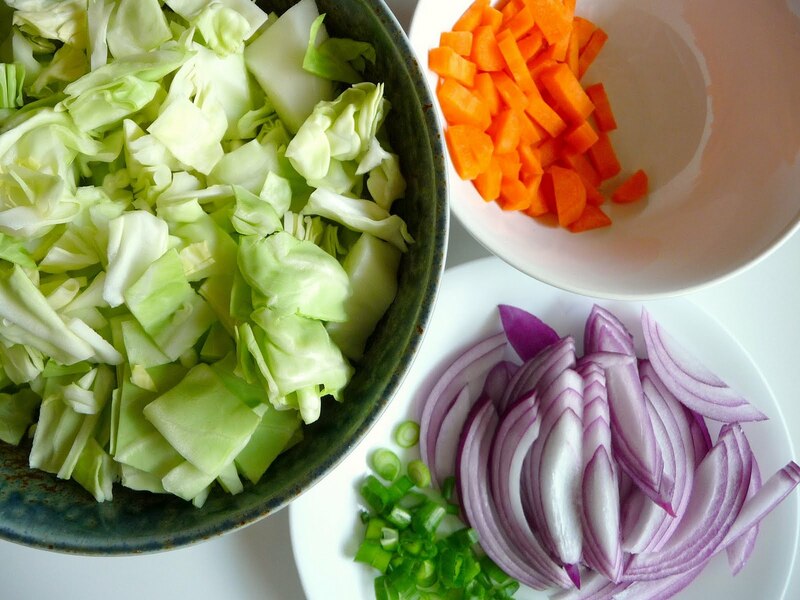 Stir-fry and serve immediately. Thanks to my cousin, I got this for free. 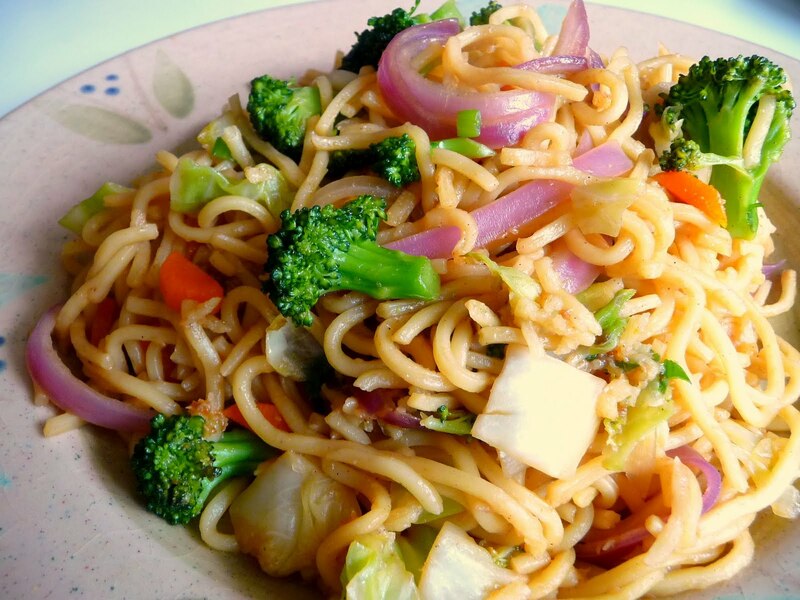 The main ingredients of yakisoba are cabbage and onions, but I guess you can add any of your favorites too. Not in picture is broccoli, which I discovered hiding in the back of the veggie bin after I took this picture. Sautee the veggies first starting with the one that cooks the longest. Add the yakisoba noodles, then add the yakisoba sauce to desired taste. Look beautiful and yet healthy.